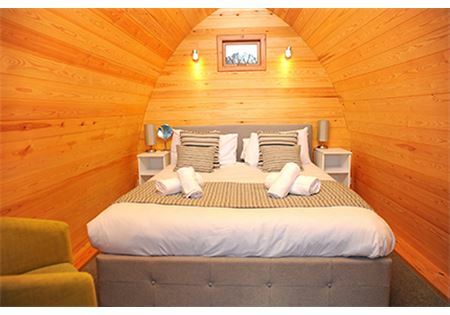 Our brand new B&B pods are the perfect glamping experience but with all the comforts of a hotel room, included within the price is breakfast in our on-site restaurant every day during your visit, our tasty breakfast will set you up for your day of exploring the beautiful Forest of Dean. (Your voucher entitles you to one breakfast option and one drink of your choice everyday) These B&B pods sleep 2 people, sorry no pets are allowed In this unit. 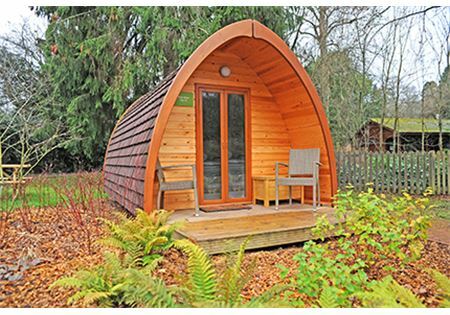 Our pods do not have en-suite toilet or shower facilities, however our Visit England 5* rated toilet block is situated a stones throw away from your B&B pod. The shared toilet block has private showers, toilets and hair dryer facilities. Also, within the toilet block we have a laundry room with washing machine, tumble dryer and iron.